You may not think BBQ is a big thing here in the Garden State, but let me assure you it is and getting bigger all the time. 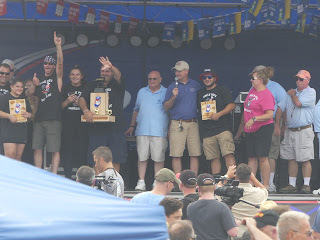 New Jersey has been crowning BBQ champs at this state event since 1999, and recently I had the pleasure of participating as a judge at this year’s competition, which took place July 14-15 in North Wildwood. 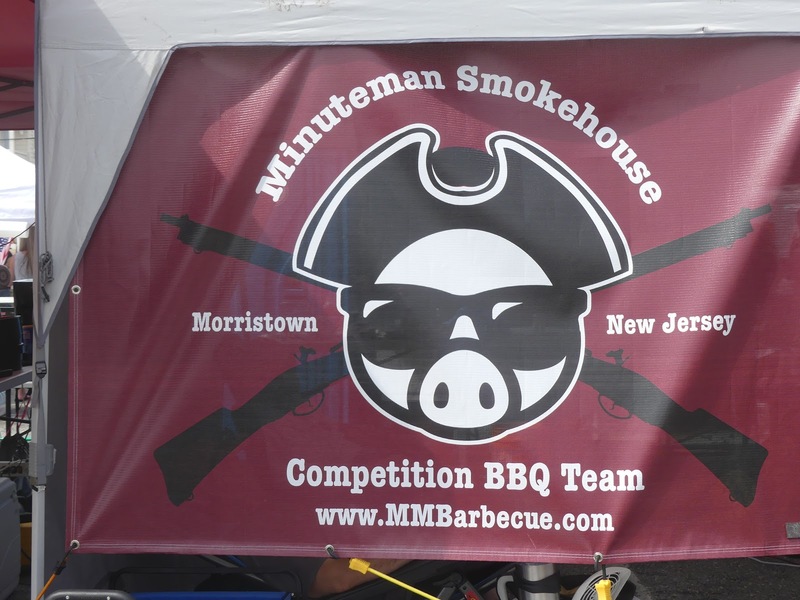 The NJ State Barbecue Championship benefits the Anglesea Volunteer Fire Company, which has served the community since 1897. Besides BBQ, the three-day event, spread out across several streets near the beach, also features cooking demos, vendors offering all sorts of goodies, and fabulous live music all weekend as part of the Anglesea Blues Festival. 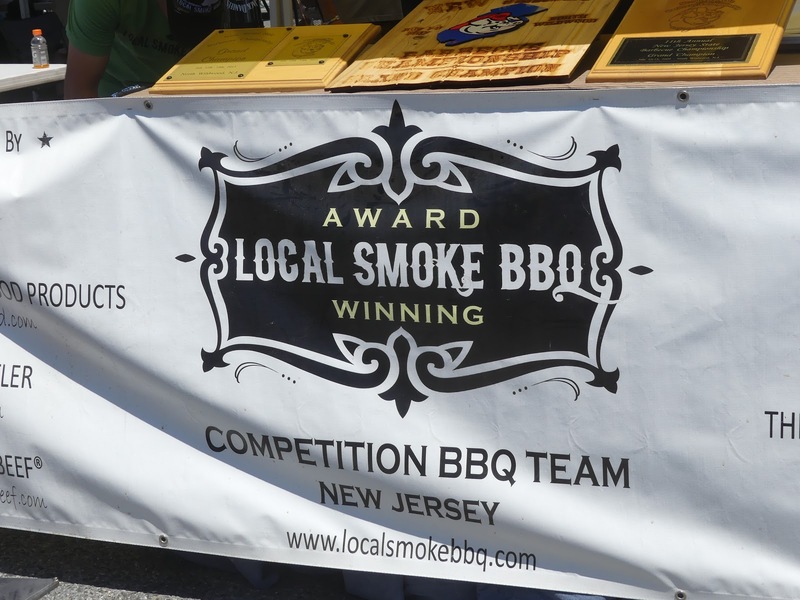 The NJ State BBQ Competition is sanctioned by the Kansas City Barbecue Society (KCBS), and BBQ teams compete not only for the glory but for $10,000 in cash and prizes. 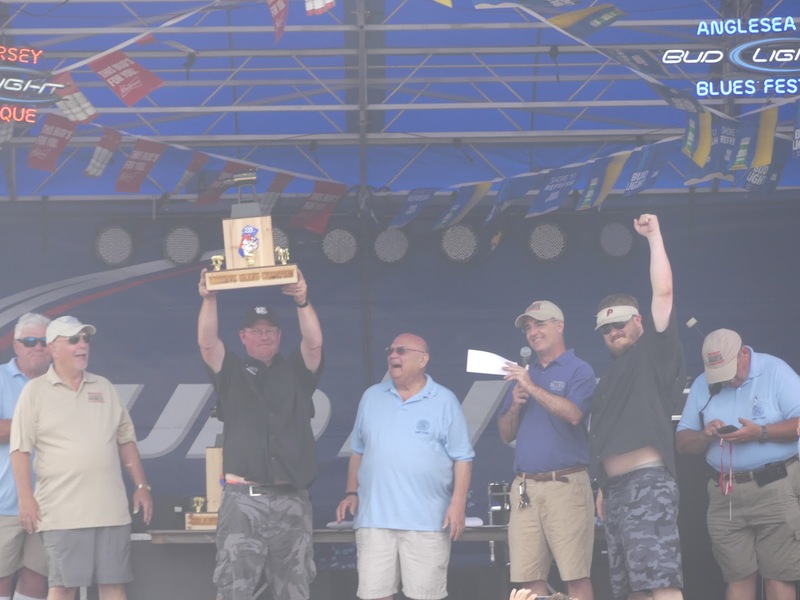 In addition, the NJ grand champion is automatically entered to compete in the World Food Championships, which takes place in November in Alabama, where the total prize purse is $300,000! So this is kind of a big deal. Now you may be wondering “how hard could it be to judge BBQ?” And I’m here to tell you “it’s a tough job, but…” you know how the rest of that saying goes. 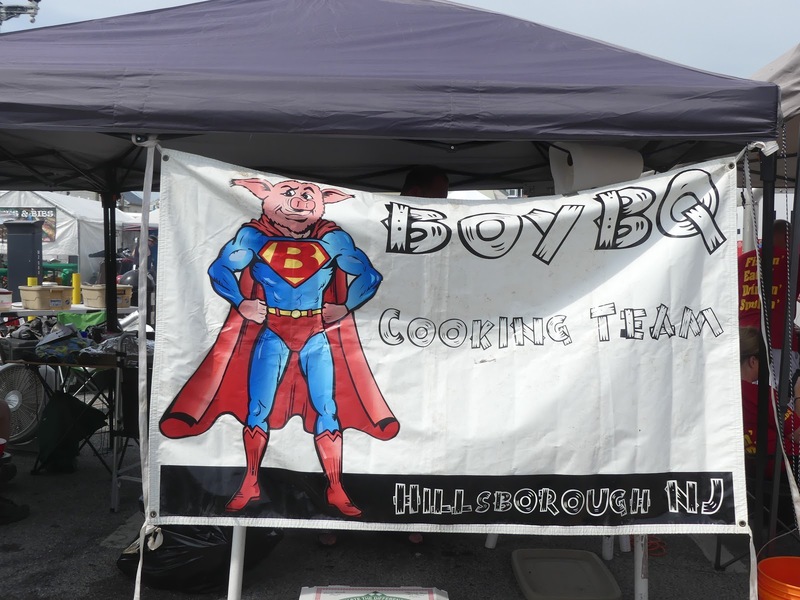 To give you a peek into what it’s like to be a BBQ judge, follow along. 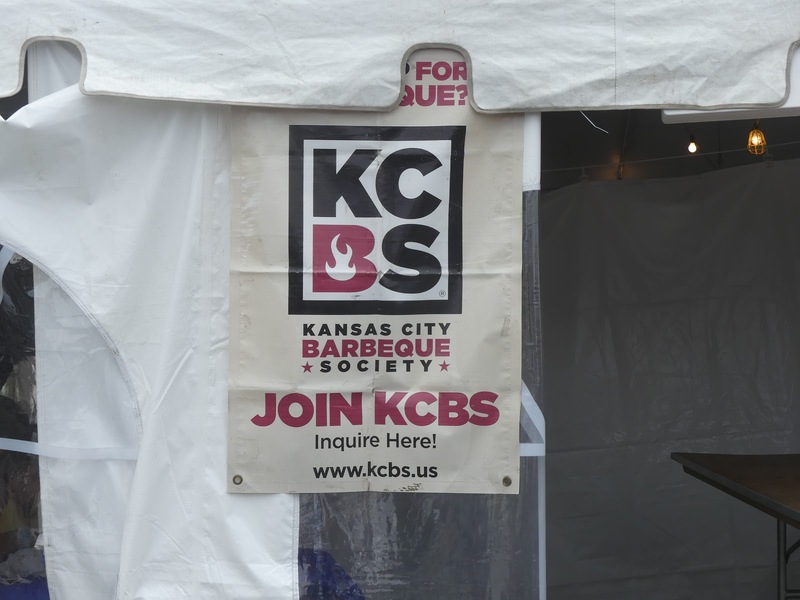 For premiere events such as this one, certified KCBS judges apply six months in advance for a coveted spot. This year, all the slots were filled the first day registration opened! 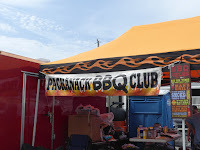 Most BBQ competitions are two day events. We start the day with a mandatory judge’s meeting where the rules are reviewed. Judges are then seated six to a table (this competition had approximately 60 total judges, but only 54 for the first day), and after some casual introductions and catching up with judges we’ve met at previous events, we get ready to eat! 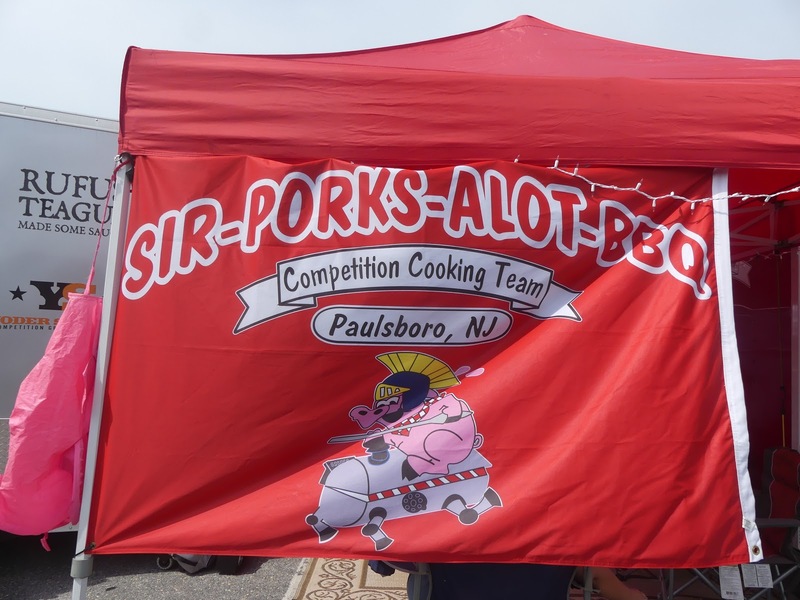 The first day’s entries at the NJ event included an “Iron Chef” competition where the teams had to cook (using only their grills and/or smokers) a dish using a mystery ingredient that would only be revealed the night before at the cook team meeting. This year, the secret ingredient was ground bison. My table had eight samples, which included everything from bison empanadas, bison meat loaf, bison meatball sandwiches, to bison wontons. Next, we judged BBQ sauces, and finally desserts. Desserts are where the BBQ teams can really get creative. Every judges table gets different entries, but a couple of the things our table enjoyed were key lime mousse, and a peanut butter cheesecake. The most unusual and creative dessert we received arrived in a mini-grill. Inside the grill, the team had made devil’s food chocolate cakes resembling charcoal briquettes and included eight slices of thick-slab candied bacon along with it. It was outstanding! Remember, the teams had to create these desserts using only a grill or smoker! After we waddled away from the table, our next assignment was to judge the “Kids Que,” where kids from age 7-14 grilled burgers, pork, tacos, or dessert. One of the entries we sampled was a Jersey Burger - complete with Taylor ham and fried egg, sandwiched between a glazed donut. These kids were amazingly poised and accomplished and I’m sure we’ll see them competing in the adult competition someday. And all that was just day one! Suffice it to say, I didn’t eat dinner that night. 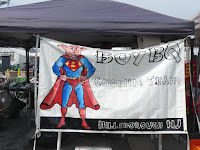 Day two brought the official KCBS entries (chicken, pork, ribs, brisket). 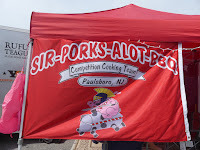 Luckily, there were more judges this day so we only had six entries for each category (from 64 cook teams). KCBS judges evaluate the submissions for appearance, taste, and tenderness, on a range from 2 (inedible) to 9 (excellent). 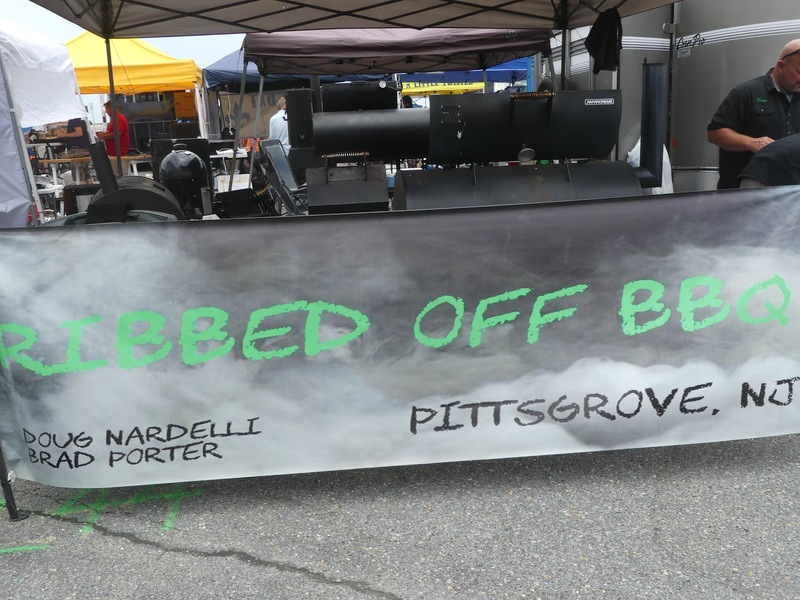 Judges take a few bites from each entry to gauge where the ribs, brisket, etc., fall on the KCBS criteria. In-between, we cleanse our palate with plain crackers and water. Rolls of paper towels and unscented wet wipes are strewn around the table. During the judging, the tent grows quiet as judges concentrate on which entries make the cut. Judges don’t evaluate one entry against another - each entry is judged on it’s own. After the judges’ score sheets are turned in, official KCBS reps tally up the numbers via a computer program and the winners are announced. The grand champion of this year’s event was New Jersey’s own “Uncle Pig’s BBQ Pit” from Gibbstown; the reserve champion was “Piggin’ Whiskey,” from Flourtown, PA. 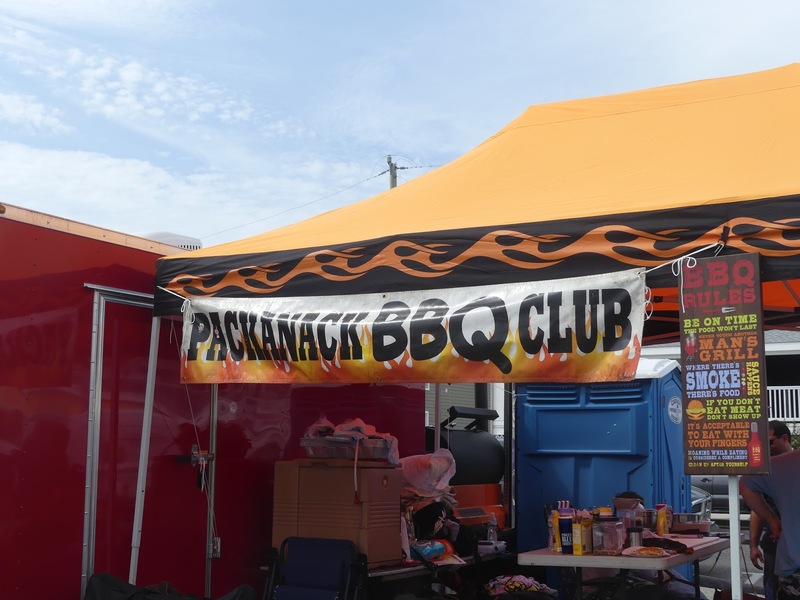 The BBQ community is fun, warm, and welcoming. 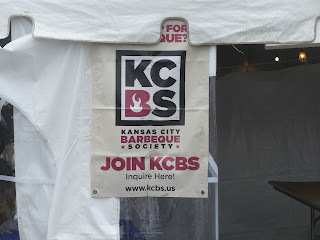 If you’re interested in becoming a KCBS certified judge, visit the KCBS page for more information. 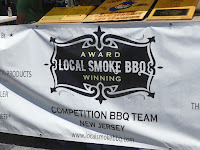 Or if you simply want to enjoy the sights, sounds, and flavors of New Jersey’s premiere BBQ and music event, put it on your calendar for next July. 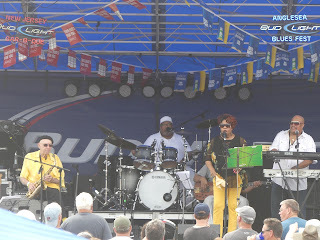 It was a beautiful weekend in the Wildwoods - the sun was shining, ocean breezes cooled the crowd, blues music blared from the stage, and the scent of BBQ wafted through the streets. Sounds like a perfect Jersey shore summer weekend to me.